What do Facebook Reactions mean for marketers? Learn how Facebook Reactions fit into your social media strategy. Facebook recently released their new ‘Reactions’ feature, which means instead of just having the option of ‘Liking’ a post, users can now interact with a status update, article, or photo using one of six emotional reactions: Like, Love, Haha, Wow, Sad, and Angry. To use the new reactions, hover your cursor over the ‘Like’ button. The complete set of emoji reactions will pop up, and you can then tap or click to select your desired reaction. The use of emojis has been growing for years, and they are now integral to the way many people communicate in the digital world. Users are accustomed to adding a display of emotion to messages, whether it’s selecting an emoji to accompany a text, or using punctuation in an email to indicate a wink, a frowny face, or a smile. Consequently, the one ‘Like’ option on Facebook has felt limiting. For instance, if a friend posts a status about the loss of a family member, the ‘Like’ button feels like a very inappropriate way to respond. In this circumstance, the ‘Sad’ reaction is a handy way to express condolences, without the awkwardness of ‘Liking’ someone’s misfortune. In short, the new reactions enable Facebook users to respond more expressively to all kinds of posts. While there are six new ways to react to Facebook posts, one of the biggest criticisms of the new features is that there’s no ‘Dislike’ button. Why didn’t Facebook create a thumbs down, ‘Dislike” reaction? In essence, a ‘Dislike’ button could have a cooling effect on the community. If a user goes to the trouble to be vulnerable and put themselves out there by sharing, it could be hurtful if other users express their dislike. 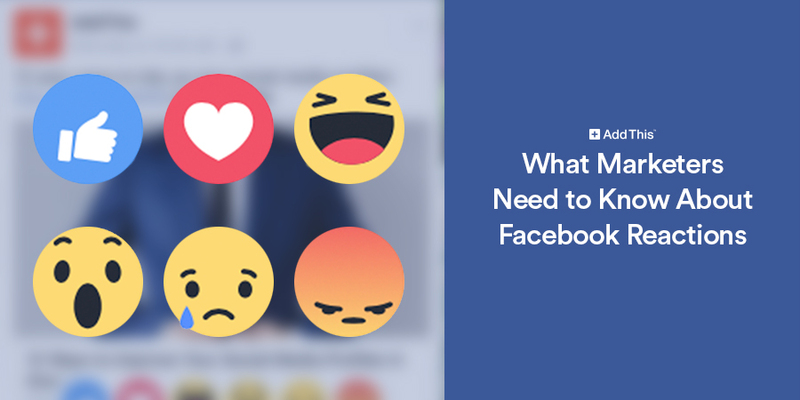 What Do Facebook Reactions Mean for Facebook Users? In the short term, Facebook reactions could have a muddying effect on Facebook’s News Feed algorithm. No matter how a user reacts to a post–even with sadness or anger–Facebook will register that reaction as a ‘Like.’ This means users get served up more of that type of content in their News Feed, no matter how badly they feel about it. According to Social Media Today, if a user reacts with sadness or anger on a Facebook sponsored post, that user is going to see more, similar content show up in their News Feed. This isn’t great news for advertisers in the short term. But longer term, after Facebook has determined how to appropriately weight the different reactions, it could mean that more accurate emotional intelligence data becomes available to marketers. What do Facebook Reactions Mean for Brands and Marketers? Facebook Reactions are essentially a jackpot of information for marketers, allowing them to gather more information about emotional responses to content and sponsored posts than ever before. Marketers will now be able to see a clearer picture of what their customers like–and what they love. Negative reactions will also help marketers to refine their messaging and get better at evoking the emotions they want to see. 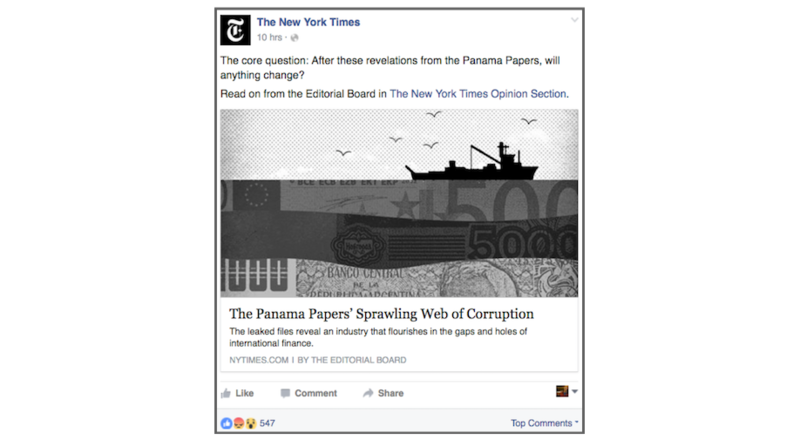 In addition, the option to express a negative sentiment may impact the comments section. In the past, to express displeasure, the only outlet a user had was to leave a negative comment. Presumably, more people will now take the easier emoticon route of reacting versus typing out a negative comment. One thing to keep in mind is that Facebook gives more weight to comments than to ‘Likes,’ which means that if more of your Facebook visitors are now “liking” your posts with the new Reactions instead of commenting, it could affect your post’s virality. That said, more people are likely to react than to type out a comment, and this might help to minimize the number of negative comments on your posts — which could be good news for Facebook page owners. If you want to begin analyzing emotional responses to your content, you can get some limited analytics via Facebook Insights. Down the line, more tools might become available to help you analyze the data in a more efficient manner, but for now, you can drill down manually. On a per post basis, you can see how many of each reaction a single post received. You can also see the number of clicks, shares, and comments. These insights gives marketers a more organized look at how their content is being interpreted and responded to by visitors, which can inform everything from your content marketing to product strategy. Below is a look at the Insights for one of our own Facebook posts. Looking at the numbers for one post in isolation isn’t as helpful as looking at them in the context of a week over week or month over month view. When looking at groups of posts, try to identify trends in high and low performing content to see what works and what doesn’t for your audience. In this example, we found that a fun infographic that still presented useful information was well received. 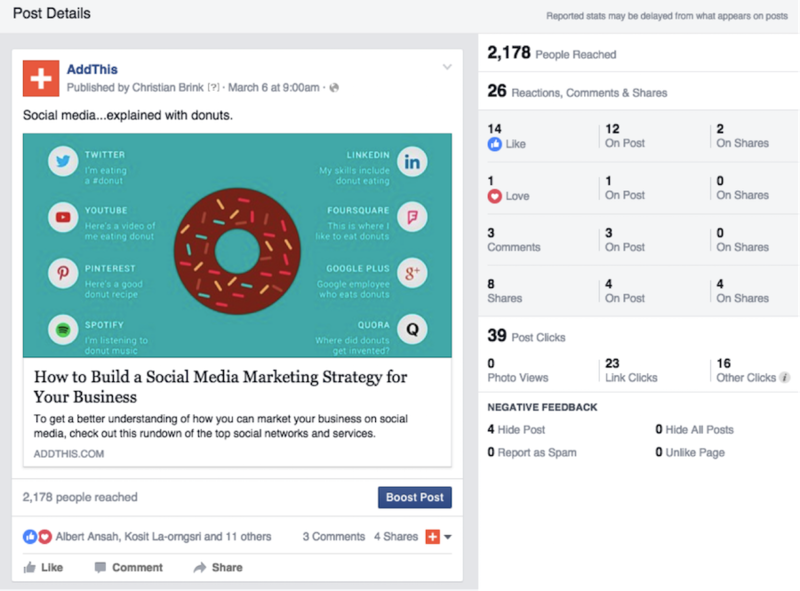 How Should Businesses Use Facebook Reactions? When it comes to improving your means of reaching out and touching your audience, Facebook Reactions can up your game. Businesses have just been handed a tool to learn how to improve their content and their offerings. These new reactions can also mean more than just providing variety to Facebook users. Brands and businesses can take advantage of the ability to measure sentiment and actually gauge how their audience chooses to respond to certain articles, posts, images, and more. It also helps that the reactions are visible for tracking purposes in the Facebook Insights tool, as covered above. The reactions of customers can also give you a better understanding of what they want from your brand. Although there is no ‘Dislike’ button, you may start to see customers using the ‘Angry’ button more than you thought. Or you may even see your audience reacting with the ‘Haha’ button, which could mean they want you to post more things that make them laugh. Now that there are more options than ever for Facebook users to give an immediate response to posts, brands and businesses can really start to analyze their data and improve their strategy.